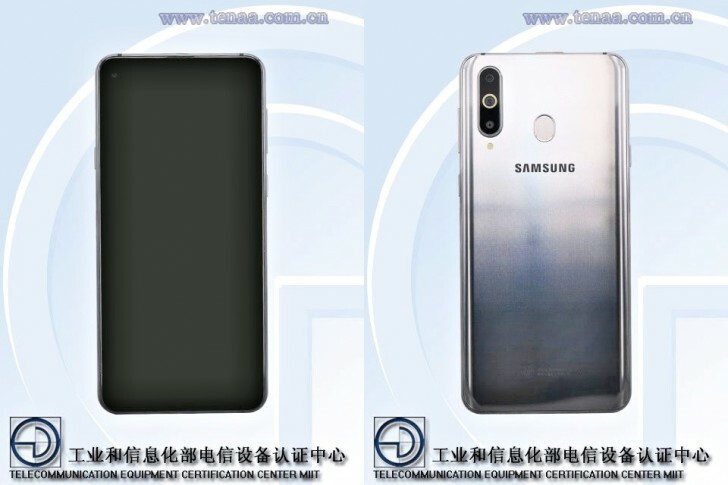 After clearing the FCC in the US, the Galaxy A8s is now through China’s TENAA, obtaining the vital certifications en route to its December 10 announcement. As TENAA listings go, this one isn’t very revealing. We get a good look at the Galaxy A8s’ front and rear but no new specs or any clarification on the specs we are not perfectly certain about. You can see the 24MP selfie camera inside the top left corner of the 6.39-inch Infinity-O screen and you can see the rumored 24MP f/1.7 main, 10MP f/2.4 telephoto and 5MP f/2.2 depth cameras. The rear also has a distinct white and deep blue gradient and a fingerprint scanner. We expect the Galaxy A8s to have a Snapdragon 710 chipset with 6GB of RAM and be powered by a 3,300mAh battery.